Our SEO services are crucial to your company’s growth. Our goal is to have your website ranking on the first page organic results of major search engines. Jumptoweb works hard to stay ahead of the curve using today’s best SEO practices. We will keep you penalty free while ensuring your website is targeting the keywords and phrases your customer are actually searching for. We do on-page and off-page SEO to make sure your website is ready to deliver. SEO has the power to rank your site on the first page of search results. Invest in our SEO services so your website isn’t buried under millions of search results. Since internet users lean towards interacting with organic search listings vs. paid advertising, take advantage of this inclination and connect with qualified leads online. An effective way to increase sales is by increasing brand exposure. Potential customers need to know about your company before they can trust you with their money. No company is alike. Depending on your market, competitors and location, your SEO services will be customized to deliver long-term results. The key to our business relationship with clients is giving them results that increase their ROI. Forcing clients to commit to services they aren’t satisfied with is not our goal. Our services lead to an increase in organic traffic to your site from qualified leads. These new customers being introduced to your brand drive an increase in revenue. SEO stands for Search Engine Optimization. It is a process that allows websites to get traffic from “organic” search results on search engines like Google, Yahoo! and Bing. Organic search results refers to the results that are not part of pay-per-click or Adwords advertising campaigns. It is of the utmost importance to have your website ranking in major search engines in order to increase traffic and therefore, revenue. Statistics have shown that internet users follow organic listings over paid advertising. The leading search engines use “crawlers” to find and index webpages using their unique algorithms. By indexing the pages they are able to categorize and assign ranking to them. Then they deliver those pages to users in the form of search results prompted by a keyword inquiry. It is essential that your website be optimized for your specific niche to increase the chances of showing up in the search results relevant to your business focus. Our SEO services are crucial to your company’s growth. Our goal is to have your website ranking on the first page organic results of major search engines. 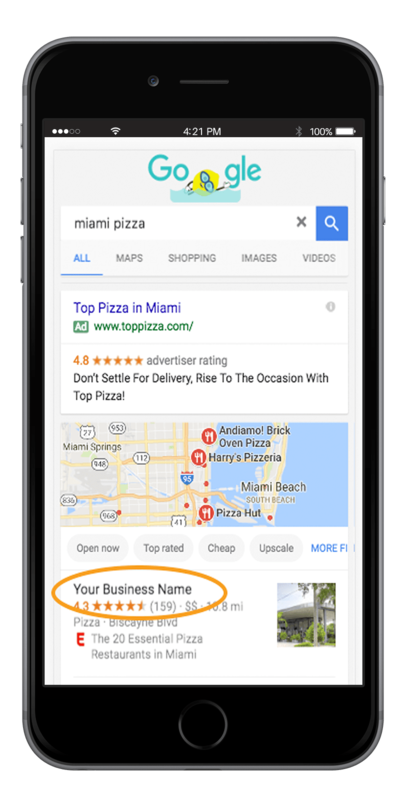 increase visibility by ranking on the first page for targeted local results. By exposing your website to more visitor your average in-bound call volume will increase. Notice an increase in form submissions and online leads as your ranking improves. We will run website audits to discover any issues affecting your ranking. We won’t force you to stick around if you aren’t satisfied with the results. We offer chat, email and phone support. We are here when yo need us. If your are having problems ranking on major search engines Our SEO Audit Report will help you find and fix on site issues and boost optimization.